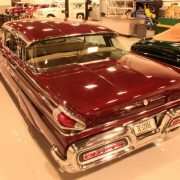 Total Restoration with all N.O.S parts or original equipment. 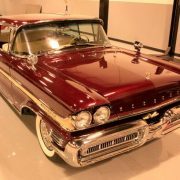 The Mercury Monterey is a full-size near-luxury car introduced by the Mercury division of the Ford Motor Company in 1950. 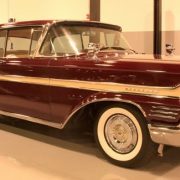 It would later share the same body style with the slightly more upscale Marquis, and the Park Lane and Montclair until the latter two were extinguished after the 1968 model year. 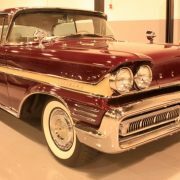 The Marquis-Monterey body was, built on a longer wheelbase and had a longer body than the Ford LTD, Ford Galaxie, and Ford Custom. 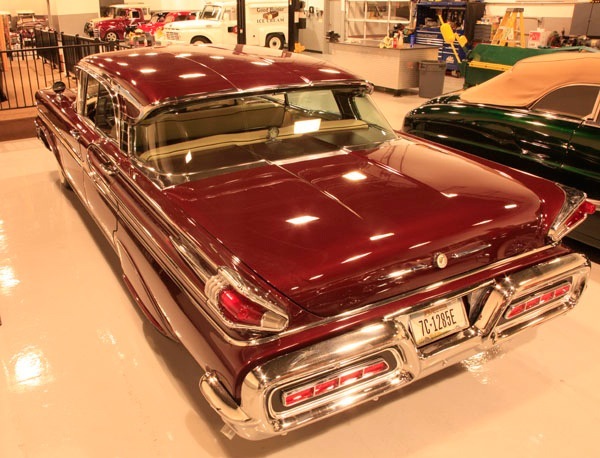 During its production the car served as the high-end, mid-range, and entry-level fullsize Mercury at various times throughout its run. 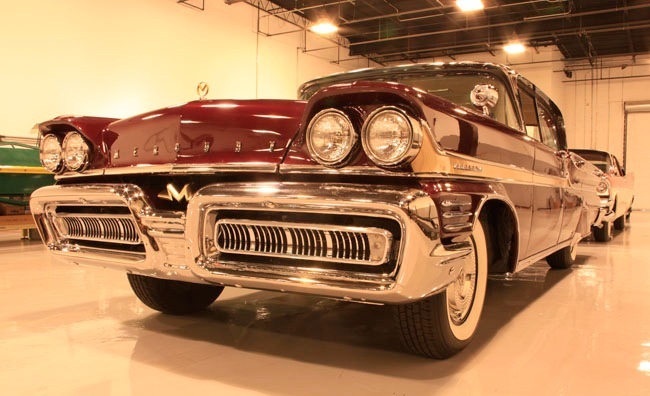 It was the only Mercury to be in continuous production throughout the 1960s. 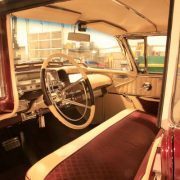 The Monterey was discontinued after 1974. In 2004, Mercury resurrected the Monterey nameplate for a minivan, essentially a re-badged Ford Freestar with added features and modified cosmetic details. 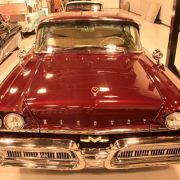 The Monterey was introduced in 1950 as a high-end two-door hardtop in the same vein as the Ford Crestliner. 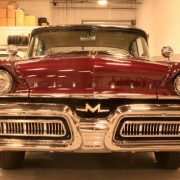 The Mercury line got a styling refresh for 1952, and added a convertible and four-door sedan to the Monterey lineup. 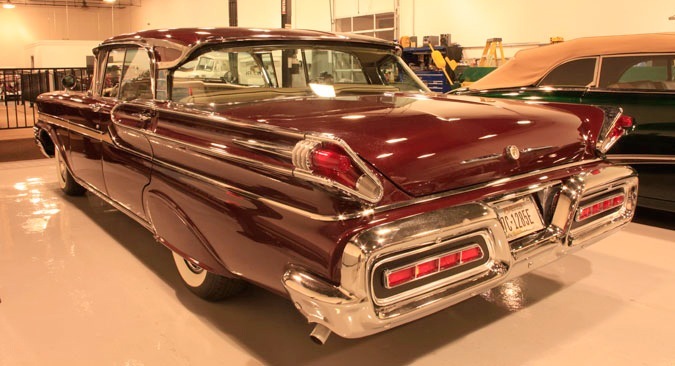 A station wagon bowed for 1953, the same year a Monterey became Ford’s forty-millionth car produced. 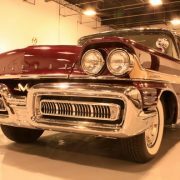 1954 saw the introduction of the new 186 hp (139 kW) overhead valve Y-block V8, as well as the bubble-top Monterey Sun Valley, which was similar to the Ford Crestline Skyliner. 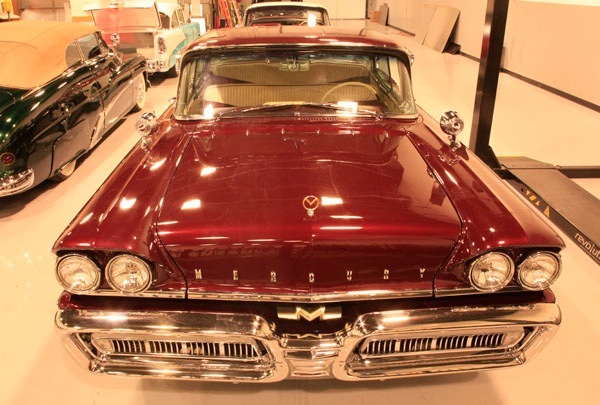 For 1955 the car lost its status as Mercury’s top model, replaced by the Montclair. 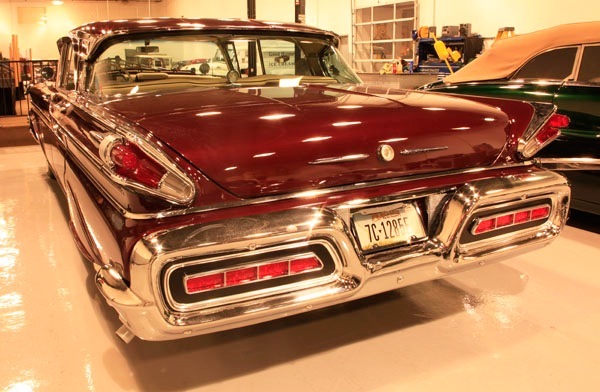 The same year, it gained the 292 cu in (4.8 L) Y-block from the Thunderbird, producing 188 hp (140 kW) with the standard transmission or 198 with the Merc-O-Matic.1956 brought another new engine, the 235 hp (175 kW) 312. 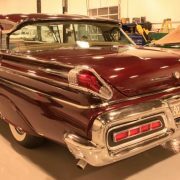 The fullsize Mercury was redesigned for 1957 and grew considerably larger as well, riding on an exclusive 122 in wheelbase. A new frame design allowed a lower floor which made the car look lower and longer. The station wagons were divested from the Monterey series, with the Commuter, Voyager, and Colony Park lines. 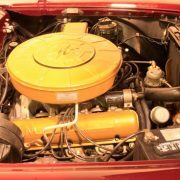 The 312 Y-block gained 20 horsepower to go with the added weight, and the 290 hp (220 kW) 368 cu in (6 L) Lincoln Y-block V8 became an option. 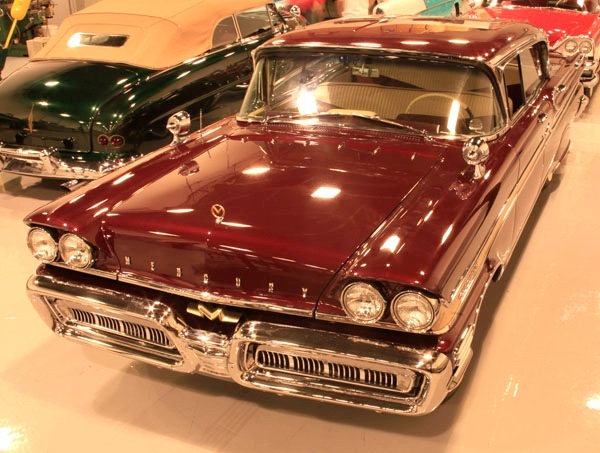 1958 brought quad headlamps, as well as an all-new engine: the 383 cu in (6.3 L) MEL V8. With the new engine came the Multi-Drive three-speed automatic transmission. 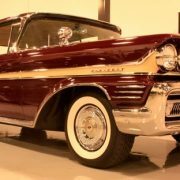 With the discontinuation of the low-price Medalist and a trend towards fuel economy, the 1959 Monterey returned to the 312, with 210 hp (160 kW). 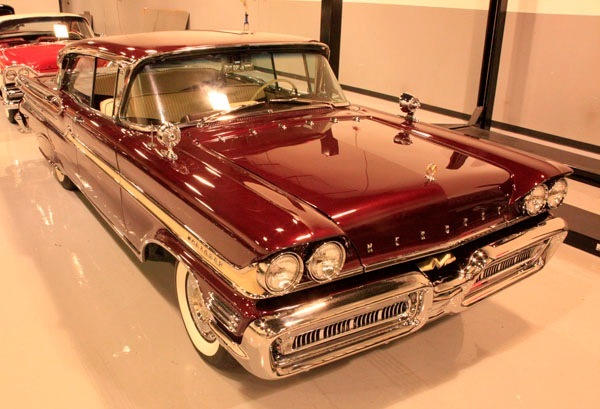 Mercury’s full-size offerings were completely revamped for 1961. 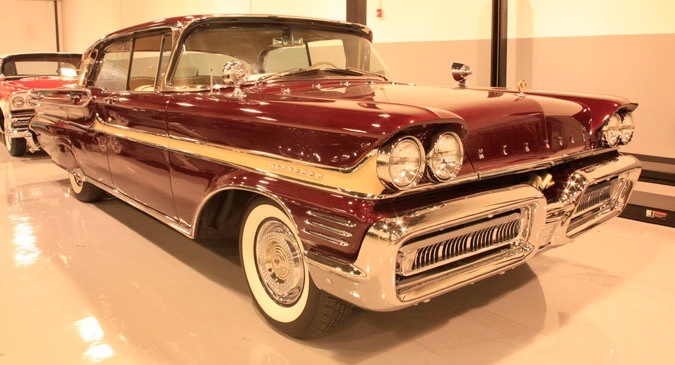 The Montclair and Park Lane were discontinued and the Meteor was added at the bottom of the range, making Monterey once again the top of Mercury’s lineup. 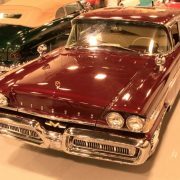 The 292 cu in (4.8 L) Y-block was standard, with 352 cu in (5.8 L) and 390 cu in (6.4 L) versions of the FE V8 available.The Meteor nameplate was moved to a new intermediate line for 1962, so the Monterey 6 with a 135 hp (101 kW) 223 cu in (3.7 L) Mileage Maker straight-six was added to fill the gap, but only for this year. 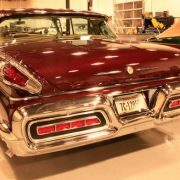 1963 brought the “Breezeway,” a powered vertical rear window, as well as a 406 cu in (6.7 L) FE engine. 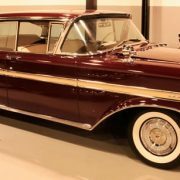 The six-cylinder, and 292 and 352 V8s were dropped and the 390 V8 became the standard engine with 250 horsepower and two-barrel carburetor with a 300-horsepower four-barrel version optional. At mid-year, the fastback Marauder was introduced. 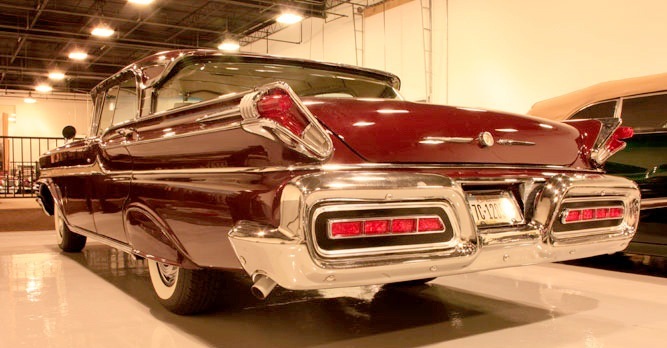 Monterey became the entry-level full-size Mercury again for 1964, with the return of the Montclair and Park Lane. 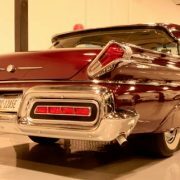 The 406 was replaced by the 427 cu in (7 L) version, producing 410 hp (310 kW) standard with an option for 425 hp (317 kW). 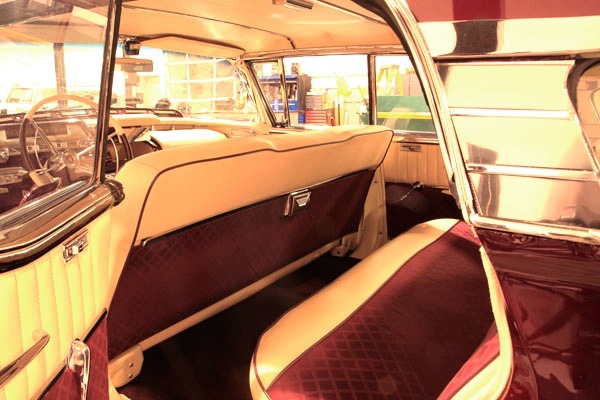 The full-size Mercurys were redesigned for 1965 with a new torque-box frame and a more slab-sided look. 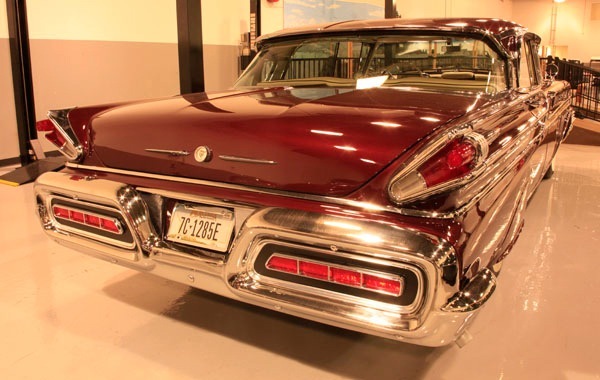 The Breezeway window was now only available on pillared sedans, with all hardtops being fastbacks. The Mercury-exclusive 410 cu in (6.7 L) and the 428 cu in (7 L) FE engines were added for 1966. 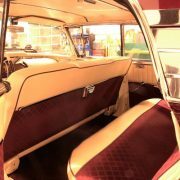 1967 brought a refresh, and the vertical Breezeway roofline disappeared although they could still be had with a drop-down rear window. The 410 was dropped for 1968. 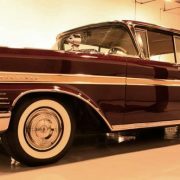 Wheelbase 124 in (3,150 mm)For 1969, the Monterey’s wheelbase grew to 124 inches with the exception of the station wagon which was on the 122″ Ford wheelbase – it was essentially a Ford wagon with a Mercury front clip and trimwork. 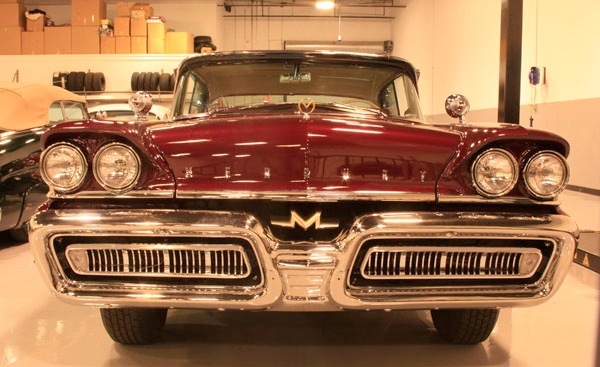 The redesigned Mercurys were intended to emulate the Lincoln Continental. Minor changes differentiated the 1970 models, but a restyle for 1971 resulted in rounded and more flowing bodywork, beaked grilles, flipper exterior doorhandles, frameless windows on all sedans, wider c-pillars and fender skirts on all but the base Monterey and wagons. 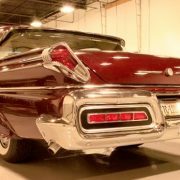 The convertible bodystyle for both the Monterey and the Marquis was eliminated and replaced by the new, costly and very rare optional power moonroof which was first made available on a Mercury with the 1968 Cougar. 1972 brought minor changes to Monterey and Marquis, such as eggcrate grilles and a front seatbelt warning buzzer. Also, SelectShift Cruise-O-Matic transmission, power steering and power front disc brakes became standard equipment on all Monterey models for 1972. 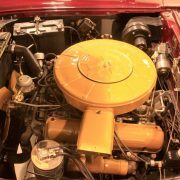 The 351 Windsor and 400 cu in (6.6 L) Cleveland V8s were added for 1971, the final year for the 390. 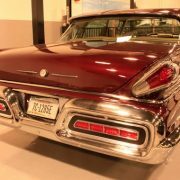 The 429 V8, which was standard on the Marquis beginning in 1969, was available as an extra cost option on all Monterey models each year including a two-barrel 320-horsepower version and a four-barrel 360-horsepower option from 1969 to 1971. 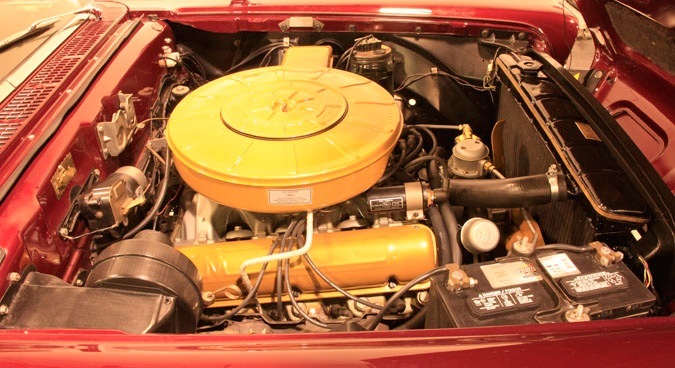 Both of those 429s were replaced by single 209 net horsepower 429 four-barrel for 1972, which was designed to run on regular, low lead or unleaded gasoline as was the case with all Ford Motor Company engines starting with the 1972 model year. The 1973 redesign brought boxier styling and the federally-mandated 5 mph bumpers. 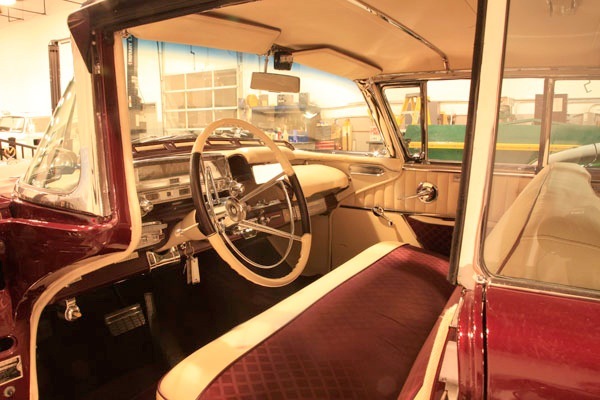 The Monterey and Monterey Custom were discontinued in 1975, as the Grand Marquis had been introduced as the new top-line Mercury, shifting the lesser Marquis models down to take the Monterey’s place. 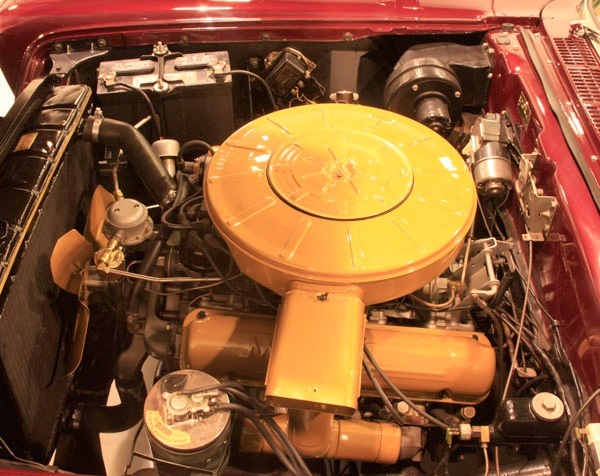 Engine offerings for 1973-74 included the 351 Windsor two-barrel standard on base Montereys and the 400 Cleveland two-barrel standard on Monterey Custom and optional on base models. The 429 V8 was discontinued after 1973 and Lincoln’s 460 V8 became the top option on all models for 1974.